Reaching for a new mag? 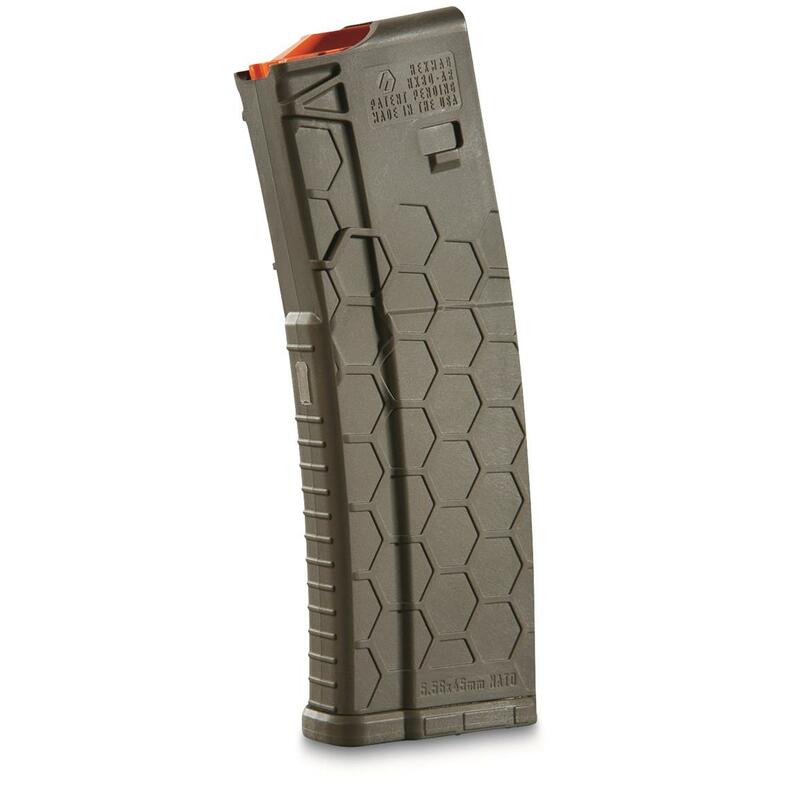 Get good grip and know that you've grabbed the right mag by reaching for a Hexmag® AR-15 magazine. Tested and approved by the National Tactical Officers Association (NTOA) for smart, sure-grip design, top-notch reliability and easy identification. Shooters have known for years that color is the simplest way to mark magazines. That's why Hexmag developed their HexID Color Identification System. No more messing with tape or paint. 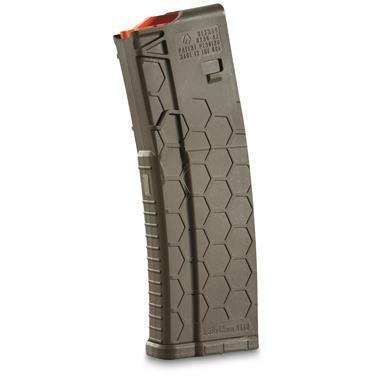 These mags have an easy to see, easy to identify color marker on the bottom that makes finding a particular magazine in a mag pouch, gear bag or storage cabinet easier than ever. 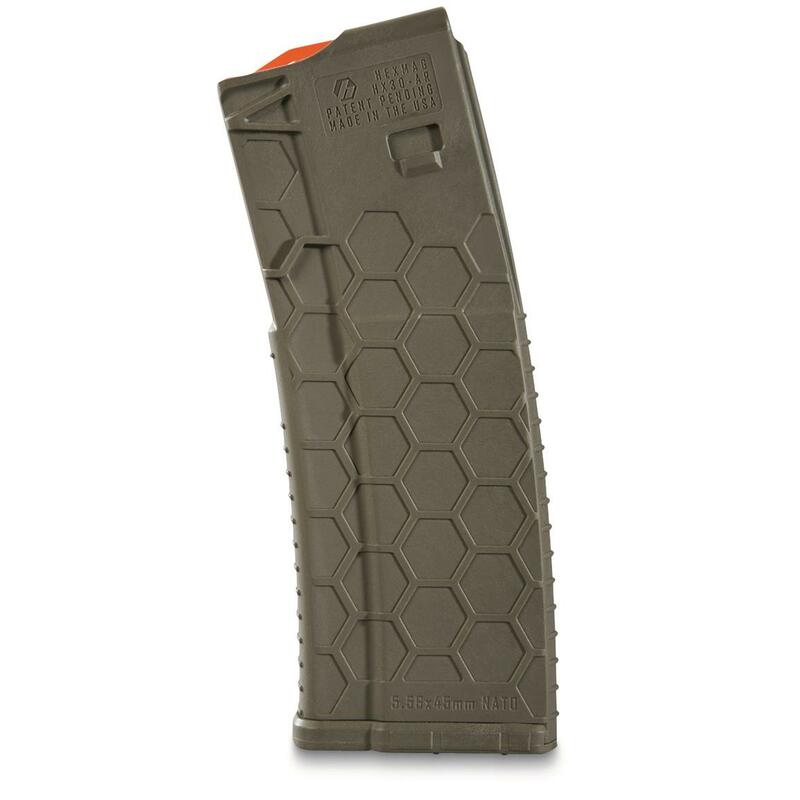 Hexmag AR-15, 5.56 NATO/.223 Remington/.300 AAC Blackout Caliber Magazine, 30 Rounds, Olive Drab is rated 5.0 out of 5 by 2. Rated 5 out of 5 by BudS from Great magazines Nice magazines! Zero issues w/ feeding. The hex texture makes handlng a breeze.